Preheat the oven to 180°C. 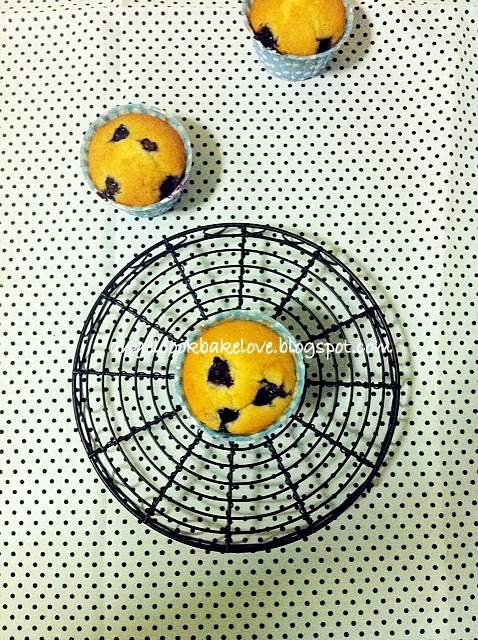 Lightly grease a 12-hole muffin tray or line with paper liners/muffin cups. Add all ingredients into a mixing bowl (sift in flour together with baking powder)and beat with an electric mixer for 2 minutes, scrape down the bowl in between (start from low speed to blend in the flour first so that the flour won’t fly around then change to medium speed). 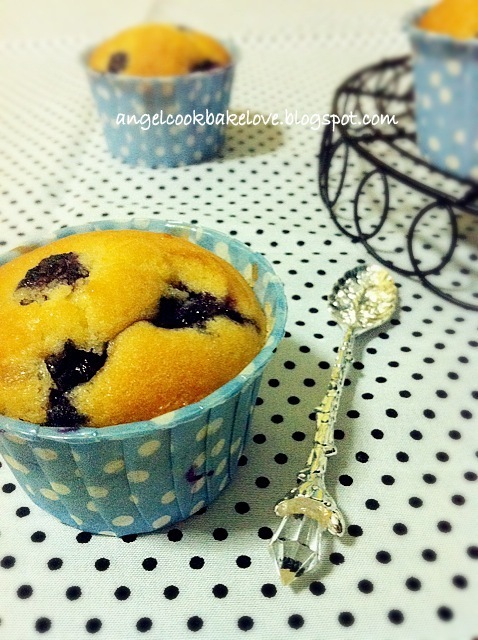 Spoon batter into prepared muffin cups equally (I used an ice-cream scoop) and add blueberries on top. Bake at middle rack for about 20-25 minutes until a toothpick inserted and comes out clean. Refer to this post for more tips. Have a nice vacation! 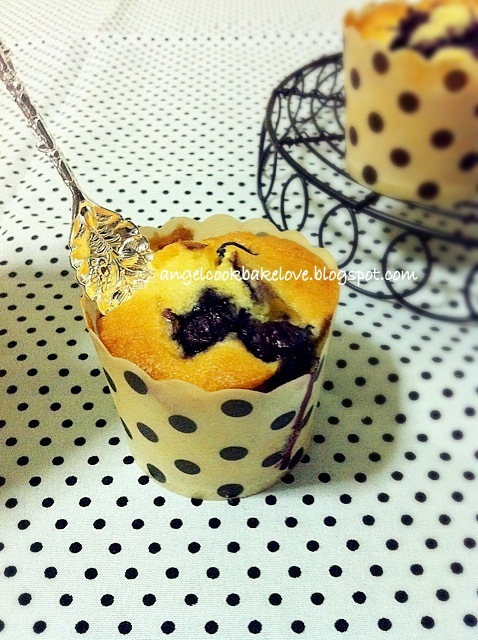 this cupcake look tempting especially the 1st photo. 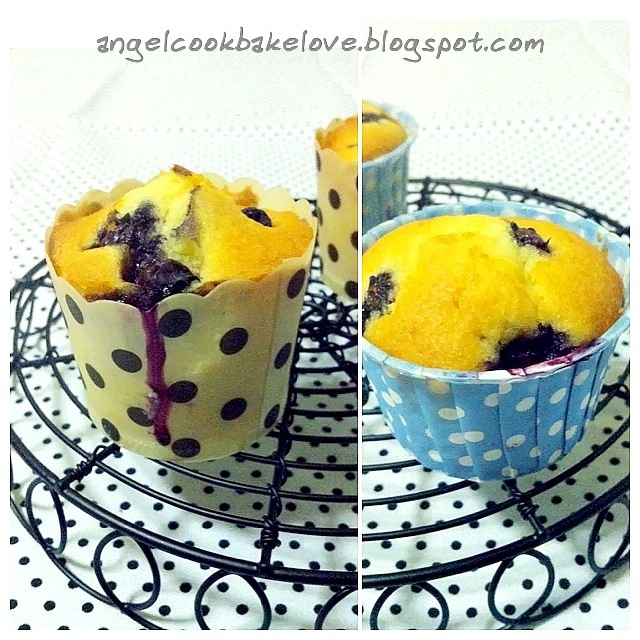 I also like the first photo because of the blueberry juice. Yummy! 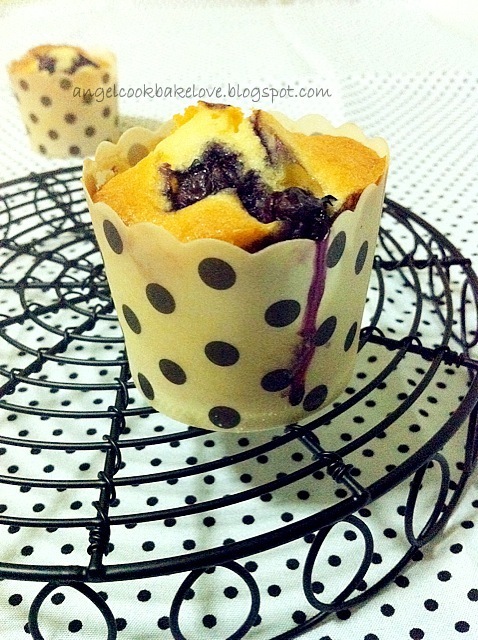 I love the blueberries in the cupcakes. Bye Angel... Hv a nice trip!!! although i am late,but still wish u have a nice and wonderful holiday.